At Jerry Lambert Automotive, we’re known for our reliability and high standard of service. As a family-owned business now in its second generation, we understand the importance of combining classic service with modern technology and approaches to ensure you and your family are safe and comfortable on the road at all times. It makes sense, then, that we service a similarly reliable vehicle brand: Isuzu. Known for a wide variety of commercial vehicles, but particularly their midsize trucks and diesel engines, Isuzu is one of the biggest names around the globe on the SUV market. 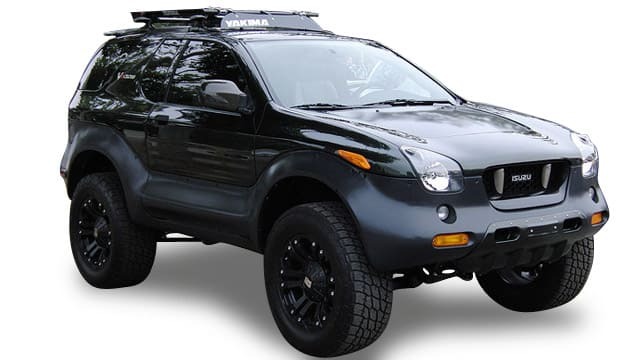 They’re growing in prominence due to a variety of vehicle styles – the crossover Axiom, the luxury Ascender, the all-bases Rodeo or several other excellent options. With this diversity in offerings, though, comes a need for reliable service professionals who understand the differences between various models. That’s a description we fit to the T at Jerry Lambert. We employ only experienced, ASE-certified mechanics to work on your Isuzu, meaning you never have to worry about a quality issue when it comes to tune-ups or repairs. Our A+ rating with the Better Business Bureau isn’t for nothing, after all – we take care of you from the moment you step in our door until the moment you drive away happy. Worried about auto shop proximity? Not a concern. Our central location is perfect for a wide variety of greater Salt Lake City residents, including those in West Valley City, Midvale and even Riverton. You’re never too far away from our excellent service, backed by years of experience serving the entire valley. Come learn what has helped turn us from a humble full-service gas station into one of the top service shops in all of Utah. Call the pros at Jerry Lambert Automotive today to schedule Isuzu service or repairs, or visit our convenient location at your leisure.